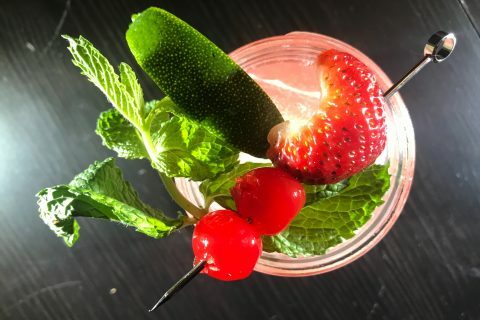 Subtle and Dangerous — Warrior IPA by Left Hand Brewing Co.
Warrior IPA from Left Hand Brewing is a balanced India Pale Ale that puts Colorado Cascade hops hops on a pedestal. Left Hand has a history of talking proven and well explored beer styles and tweaking them in slight ways in order to create their own unique takes on well-known classics. 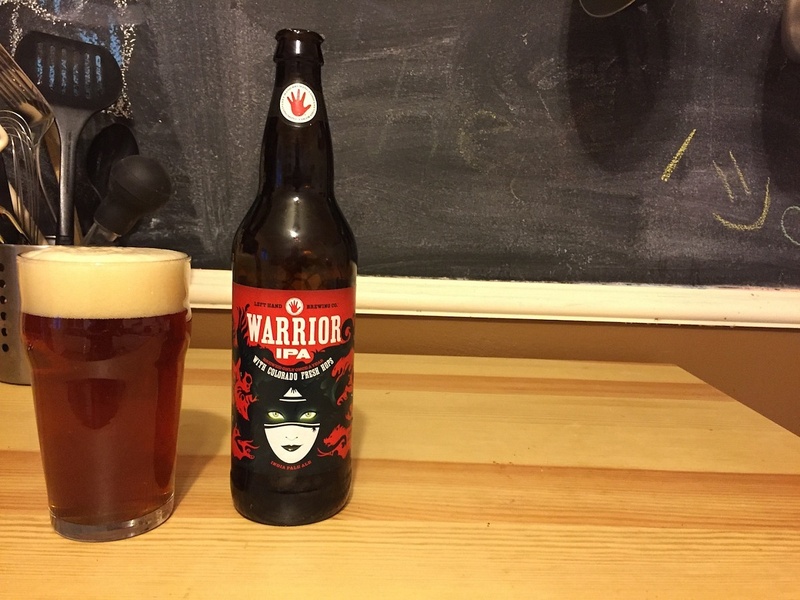 While Left Hand did not create another genre-defining juggernaut like their Nitro Milk Stout, Warrior IPA is a very solid and well crafted entry in the bomber based IPA market. 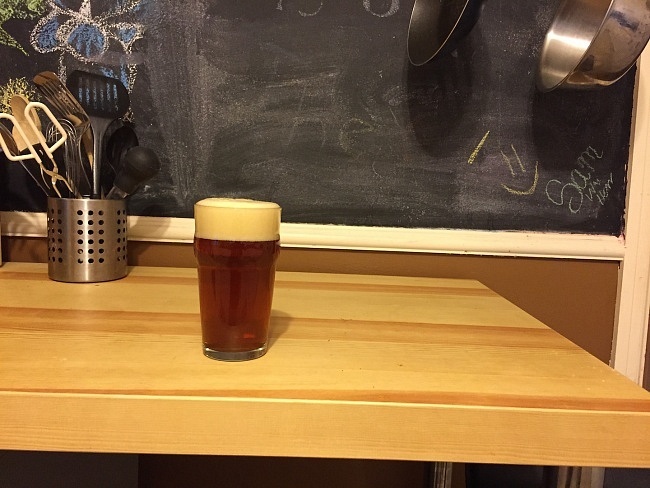 I poured my 22 oz Warrior IPA bomber into a standard pub glass and an off-white head with caramel hues built thick and dense. The dark amber bronze of the beer does not let much light permeate, giving the color depth and full reddish hues. As you move your nose to the glass you are immediately greeted by a caramel maltiness and notes of pine and citrus, giving only a hint of the hop profile to come. The Colorado Cascade hops that are added farm fresh for every batch create a subtle and well balanced hop profile that complements this understated beer quite well. The palette of Warrior IPA is extremely dry, forcing you to slow down and savor every subtle aspect of this incredibly well balanced beer. Finally, a chewy and biscuity maltiness give Warrior a full mouthfeel that yields way to a finish that is not clean per se but does open up the drinker’s palate quite well for the next drink. 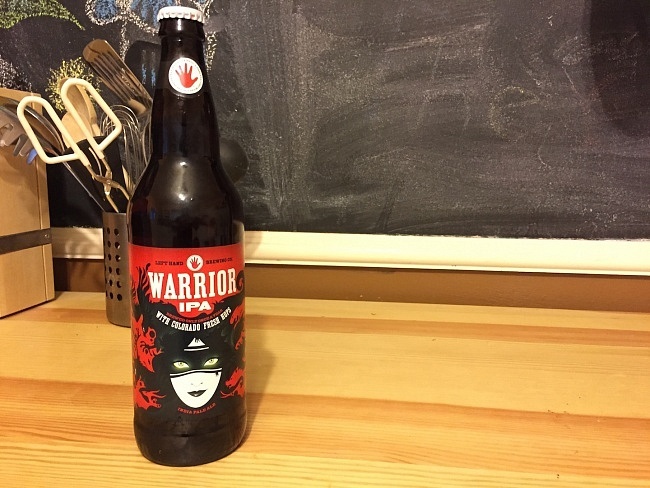 At 7.3% abv Warrior IPA is an accessible yet satisfying big beer that leverages its balanced and subtle flavor profiles astutely; Left Hand Brewing has created a solid entry into the ever expanding IPA market that I look forward to enjoying again. OlderNice to Meet You, FactoryTwoFour!